We have had great fun learning to sail in the Greek Islands. With a number of amusing and interesting adventures on the way, avoiding the odd sunken vessel. So far only in the Ionian but we hope to go to other areas and gather more stories. Over to you. What are the best experiences that you have had? I would love to read them and add them to this site. What's Your Greek Islands Sailing Story? - Been sailing around the Greek Islands ? 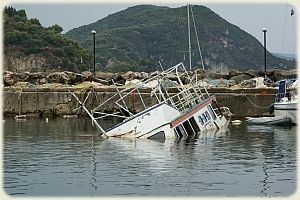 - In a Flotilla or Bareboat? - Got an amusing tale to tell? 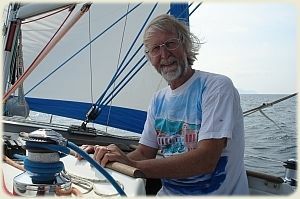 Your Sailing story will appear on a Web page exactly the way you enter it here. You can wrap a word in square brackets to make it appear bold. For example [my story] would show as my story on the Web page containing your story. Do you have a picture (or four) to illustrate your adventure? Great! Click the button and find them on your computer. Then select it.